Lucifer came to him in drag. 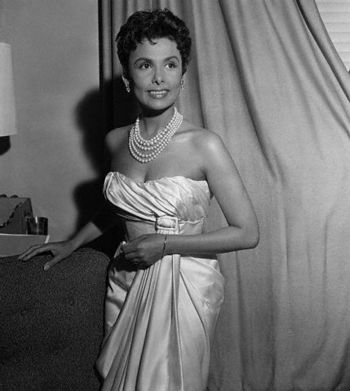 He was disguised as Lena Horne. C.B. went to see The Wiz with his family. The movie was pretty cool, by his standards, even though he thought Diana Ross was a little too old to be playing Dorothy. But the sets were amazing—the recasting of the Emerald City as downtown Manhattan, the Wicked Witch’s sweatshop, the trashcan monsters in the subway. The songs sometimes lasted a little too long, but they were offset by Michael Jackson’s flashy spin-dancing. But it was the image of Lena Horne as Glinda the Good Witch that would follow him. She appeared in the next to last scene in a silver dress. Her hair was captured in a net of stars, and she was surrounded by a constellation of babies, all wrapped in clouds, their adorable faces peering out like living chocolate kisses. He fell in love. Ms. Horne was undeniably beautiful, with her creamy, golden skin, and mellow, birdlike features. Her movements during the song “Home” were passionate. They were at odds with shimmering, ethereal-blur in which she was filmed. Indeed, she could not be of this earth. In all of his life in Willow Creek, NC, C.B. had not seen anything like this before. He was in love, all right. He researched her in libraries, finding old issues of Ebony and Jet; he watched old movies that she’d appeared in, like Cabin in the Sky. He collected some of her records; his 8-track of “Stormy Weather” was so worn down, he had to buy another copy. But in the weeks afterwards, he began to sense that this love of his wasn’t quite right. His brother and his father would tease him about his “girlfriend,” who was 70 years old, and about how, when he came of an age to marry, she would be even older than that. Of how he could never have children. His brother was particularly mean: he imagined a wedding, held at Lena’s hospital bed, with her in an aqualung, exhaling an “I Do” as ominous as Darth Vader’s last breath. But C.B. wanted to explain that it wasn’t like that at all. He couldn’t quite put it into words. Lena wasn’t an object of desire, someone who he wanted to kiss or hold hands with. She was something more. She was a goddess of Beauty, an ideal. She was something beyond anything he’d ever known. She hovered above Willow Creek, an angel, looking down on its box houses that were the color of orange sherbet, lemonade, and his own robin’s-egg-blue house. She wasn’t someone to sleep with; she was someone to be like.